It was Fashion Week once again, starting with NYFWM to kick it off. The first designer’s showcase I attended was Suitsupply Men’s FW18′ presentation at the Cadillac House. 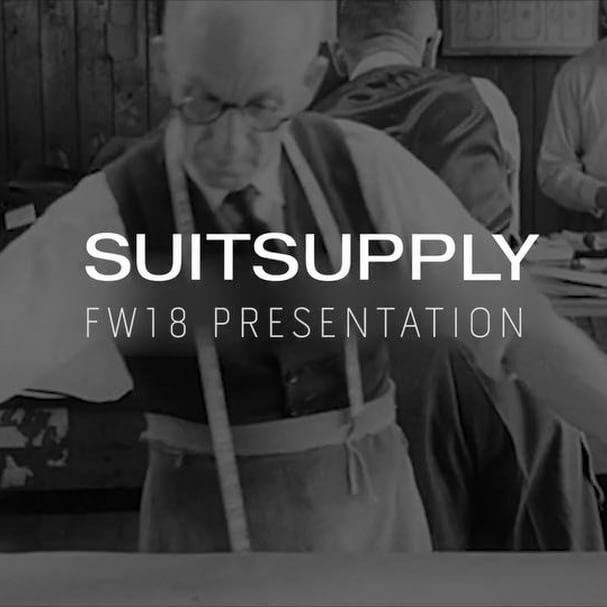 Suitsupply is about creating the construct of clean soft, high-quality fabric for comfort. A vertically integrated suit supplier to make you look painlessly sharp. What I love to see is a great constructed suit, whether it may be formal or casual. This collection evolved the “classic suit” showing a range of customary structured blazers, button-downs, and pants to bombers, soft fabric trousers, t-shirts, cardigans, and turtlenecks. Not shying away from pinstripes, plaid and checkered. There was much attention to detailing and the fabric and textiles made the outfits look very comfortable. I wouldn’t hesitate to take one of these suits and put my style and twist on it. Gotta appreciate men’s fashion, from a fitted suit to a more casual approach, styled with just the right accessories. I personally like seeing a man with nice shoes, watch and a ring on their thumb or middle finger…it’s all about the swag.